the science dealing with the form and structure of living organisms. Examples of specialty areas of anatomy and physiology. From Applegate, 2000.
clinical anatomy anatomy as applied to clinical practice. comparative anatomy description and comparison of the form and structure of different animals. developmental anatomy the field of embryology concerned with the changes that cells, tissues, organs, and the body as a whole undergo from a germ cell of each parent to the resulting offspring; it includes both prenatal and postnatal development. gross anatomy (macroscopic anatomy) that dealing with structures visible with the unaided eye. morbid anatomy (pathologic anatomy) anatomy of diseased tissues. special anatomy anatomy devoted to study of particular organs or parts. topographic anatomy that devoted to determination of relative positions of various body parts. x-ray anatomy study of organs and tissues based on their visualization by x-rays in both living and dead bodies. 1. The morphologic structure of an organism. 2. The science of the morphology or structure of organisms. 4. A work describing the form and structure of an organism and its various parts. /anat·o·my/ (ah-nat´ah-me) the science of the structure of living organisms. applied anatomy anatomy as applied to diagnosis and treatment. comparative anatomy comparison of the structure of different animals and plants, one with another. developmental anatomy the field of study concerned with the changes that cells, tissues, organs, and the body as a whole undergo from fertilization of a secondary oocyte to the resulting offspring; it includes both prenatal and postnatal development. gross anatomy that dealing with structures visible with the unaided eye. homologic anatomy the study of the related parts of the body in different animals. morbid anatomy , pathological anatomy anatomic pathology. physiological anatomy the study of the organs with respect to their normal functions. radiological anatomy the study of the anatomy of tissues based on their visualization on x-ray films. special anatomy the study of particular organs or parts. topographic anatomy the study of parts in their relation to surrounding parts. 1. The bodily structure of a plant or an animal or of any of its parts. 2. The science of the shape and structure of organisms and their parts. 3. A treatise on anatomic science. 4. Dissection of a plant or animal to study the structure, position, and interrelation of its various parts. 1 the study, classification, and description of structures and organs of the body. 2 the structure of an organism. See also applied anatomy, comparative anatomy, gross anatomy, microscopic anatomy, surface anatomy. Compare physiology. anatomical, adj. The study of bodily structures and their relationships with each other. 1. The structure of the body, or the study of the structure. 2. A textbook or treatise on anatomical science. the science of the structure of living organisms. The science of the body structure of an organism and its parts. n 1. the study of the structure and parts of the body. 2. in chiropractic, a component of the vertebral subluxation complex that refers to the specific structural implications present when subluxation has occurred. Morphologic structure of an organism. n the science of the form, structure, and parts of animal organisms. n the science of the structure of the teeth and the relationship of their parts. The study involves macroscopic and microscopic components. n the images on a radiographic film of the combined anatomic structures through which the roentgen rays (radiographs) have passed. description and comparison of the form and structure of different animals. the changes in form from fertilization to adulthood, including embryology, fetology and postnatal development. that dealing with structures visible with the unaided eye. Called also macroscopic anatomy. anatomy revealed by microscopy; includes histology and cytology. anatomy of diseased tissues. Called also pathological anatomy. anatomy revealed by the techniques of radiography and fluoroscopy. anatomy devoted to study of particular organs or parts. that devoted to determination of relative positions of various body parts; regional anatomy. However, there were very few reports documenting its use in anatomy education, as most videos available at that time were commercially produced dissection videos (Ogunranti). 23] These regulations stated that the head of a provincial department of health may appoint a provincial inspector of anatomy. 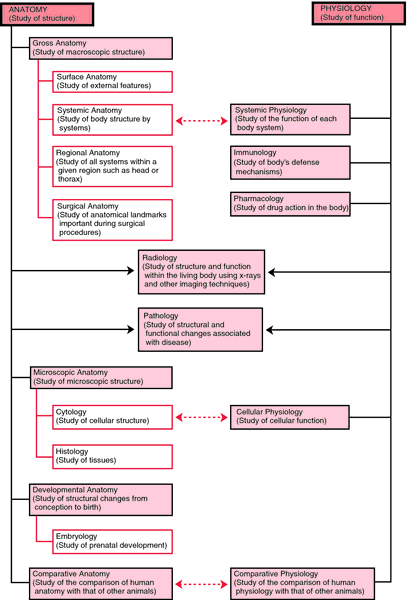 Students entering Army Medical College are permitted to choose between different learning strategies for gross anatomy course. For scientists, healthcare professionals, and dance educators, understanding the shortcomings, if they exist, in dancers' knowledge of anatomy may allow them to expand the anatomy and injury prevention curricula in dance programs worldwide. Students in the conventional curriculum following medical colleges (CMC) were taught the subject of Anatomy in 51 demonstrations and in 78% of the demonstrations (40/51) plastic models were used. In quest of profound courtesy: chaplin enters the anatomy lab. Accompanying the performance, there will be a comprehensive series of workshops and conversations offering a range of insights and experiences, including the chance to explore the anatomy of the voice and how to treat patients with breathing problems. Today, Thieme is the market leading publisher of neurosurgical content and holds strong market positions in orthopedics, radiology, anatomy and chemistry, among other specialties. Overall, this book provides a detailed overview of relevant anatomy and radiology. In a recent editorial of the journal Clinical Anatomy, Stephen Carmichael, remarked that some studies "showed that total hours in gross anatomy (and other anatomical disciplines) decreased since earlier surveys dating back to 1955; specifically decreasing from almost 350 total hours in 1955 to 149 hours in 2009" (S.
Das, OUAT, Bhubaneswar received best Anatomy Researcher Award of IAVA. TV with her functional anatomy classes about seven years ago.